Situated 18 miles from Stonehenge, Avebury, a complex of stone circles, barrows, earthworks and avenues, was built some 5000 years ago. Here archeologist Burl tells its stories in a text that sets a high standard in archeological writing for a lay audience. 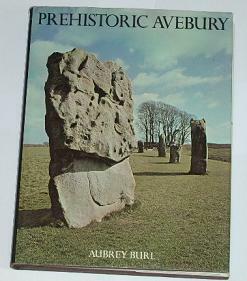 This magnificent book is a fascinating account of the prehistoric stone circles at Avebury, which not only date from an earlier era but are also larger than the more famous sarsen stone circle of Stonehenge. Written by a leading archaeologist, the book considers every aspect of Avebury's history and construction and discusses the probable purpose of these massive structures, in the process creating a vivid and moving picture of their creators-a primitive people whose lives were brief, savage, and fearful.